The Spinter i gathering machines are designed based on the modular concept. 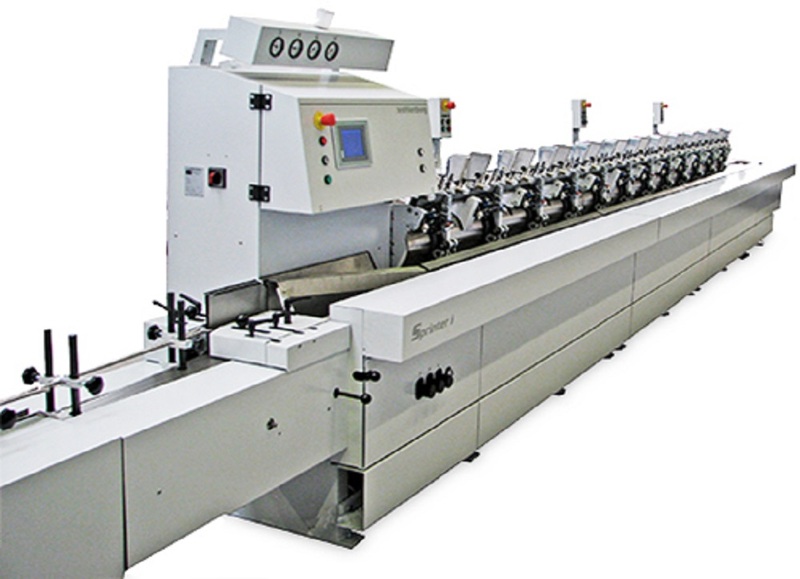 All elements can be combined individually and used both as stand-alone machines or inline, linked with a perfect binder. For vacuum generation a new system is applied called the Winjector. The winjector is an extremely compact suction-pump system for vacuum generation inside the suction module of the respective magazine. Based on the multi-step ejector principle the vacuum is locally generated from compressed air. Upright gentle product transport in transport channel assisted by blow air. Spiralling upright for feeding into the perfect binder is no longer required.